From being asked, albeit politely, to leave a Harvester ‘pub’ last weekend, to barring myself from my once very favourite pub last night. The first incident occurred when, after and because I was on the outside of two or three bottles of house shiraz. I then decided, for better or worse, that I needed another bottle (and one for yourself). 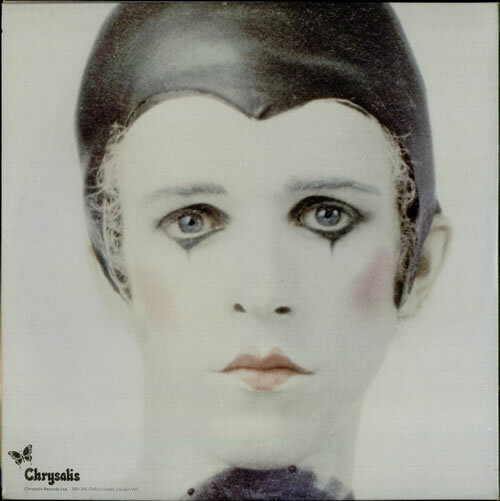 But in my excitement, haste and eagerness to replenish my glass and that of my accomplices on this Leo Sayer of Leo Sayers, I may have forgotten myself as I chivvied along the barmaid, who may or may not have been one of the worst you’ve ever seen. 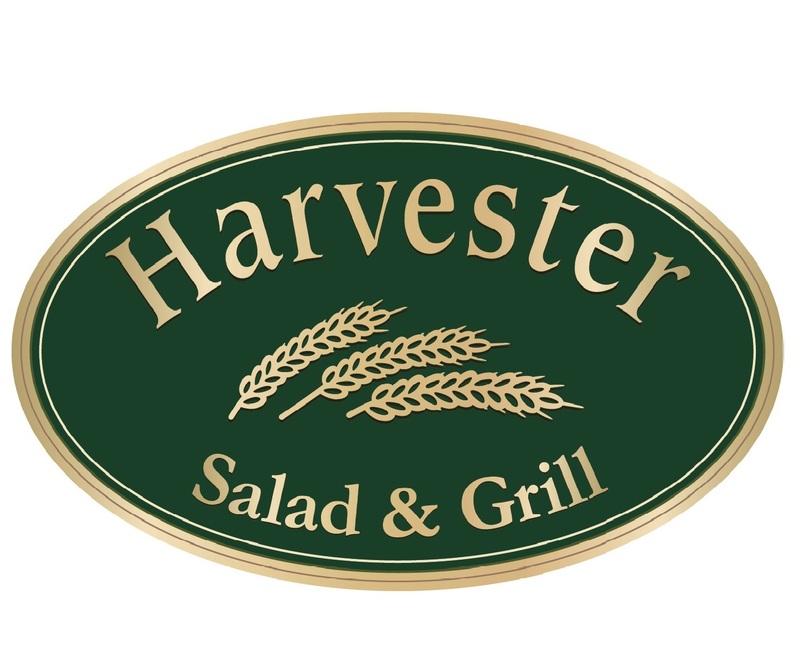 I don’t like Harvester, never have done. It is a chain of foody ‘pubs’ over here and throughout good ol’ Blighty which is the very embodiment of everything I hate about modern drinking. Acres of dining tables, and occasionally tended drinking areas, or “bars” as they like to call them. They are restaurants with a beer counter attached. They are the Nigel Farage (rhymes with garage) of Holsteries. The Paul McCartney of pubs, the Mike Bushell of Boozers in which to enjoy a Sunday afternoon quaff. And I’m just like you. To save a row, you go along. After all, this time it’s definitely not all about YOU, is it ? This is not your day and you go with the flow. That’s what makes you a civilised human being, isn’t it ? Someone who people like and admire, someone who considers other people’s opinions and feelings. Even if you hate the pub you’re walking into. But none of this by any means excuses me for what I apparently said to this person serving — or otherwise— me that afternoon. Early into that next bottle I was asked by the manager of the pub if I had a minute, was taken to a quiet corner of the bar, and was kindly asked to leave the pub as I had been rude — “in the extreme”— to the young lady behind the bar. First hand accounts are scarce and differ slightly about what happened and who said what to who(m). What seems to be clear is that, to paraphrase Sesame Street, this conversation was brought to by the letters U, T, N & C and by the words SLOW, USELESS and YOU. I was asked to leave on the grounds that I was “rude and tipsy”. It was, apparently, a fair cop, guv. That was a week ago, and it took some getting over. Angst and shame. Using inappropriate language; not being able to remember saying that rude word, or indeed anything, to the barmaid; being barred from a pub, however awful, and thus having to curtail my assault on the Dartford Shiraz surplus. I have, however, gradually been able to come to terms with my actions by way of convincing myself that a) she may well have (or probably) made it all up; b) she was indeed slow and useless (though not necessarily a utnc); c) I never liked the pub anyway. If, indeed, a pub it be. 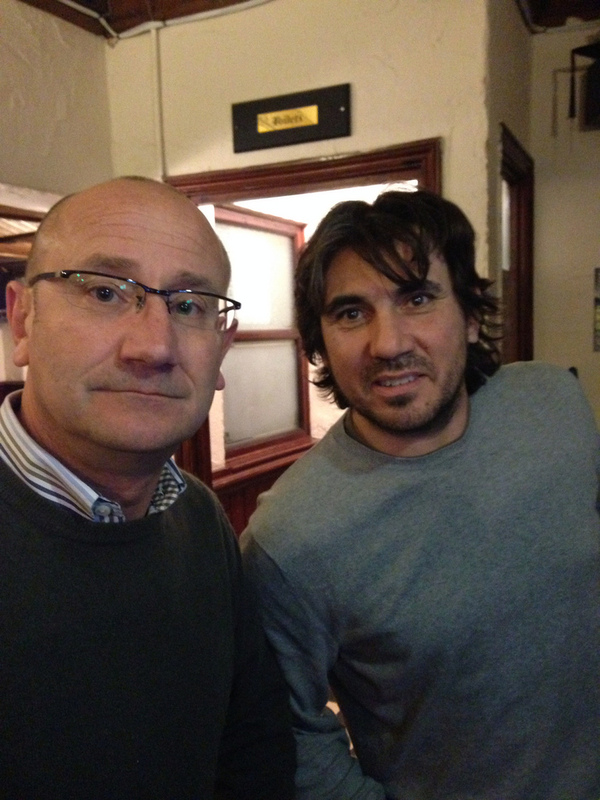 Mid week, I found myself in The People’s Republic of Luton having beer & sandwiches with a couple of the locals. Strange lot. It appears they grow up with either too much hair, or none at all. However, they do know how to run a boozer, as the chaps in The Castle pub, castle street — next to the castle (how do they come up with these names ?) illustrates. Good beer, proper, quick and attentive bar staff, no food, original decor (well, underneath the old folk music flyers there was original decor.) It restored my faith in pubs and the people therein. It was clean, well stocked, reasonable priced and catered for the beer-and-wine-drinking community as a whole. Hairies and baldies alike. Cut to yesterday afternoon when I strolled manfully through London’s Covent Garden, leading The Incumbent and two friends to my very favourite watering hole the capital has to offer. Anyone who has ever met me for a drink in London over the past 30 years will have been asked by me if “we could go to The Sailisbury, St Martin’s Lane”. 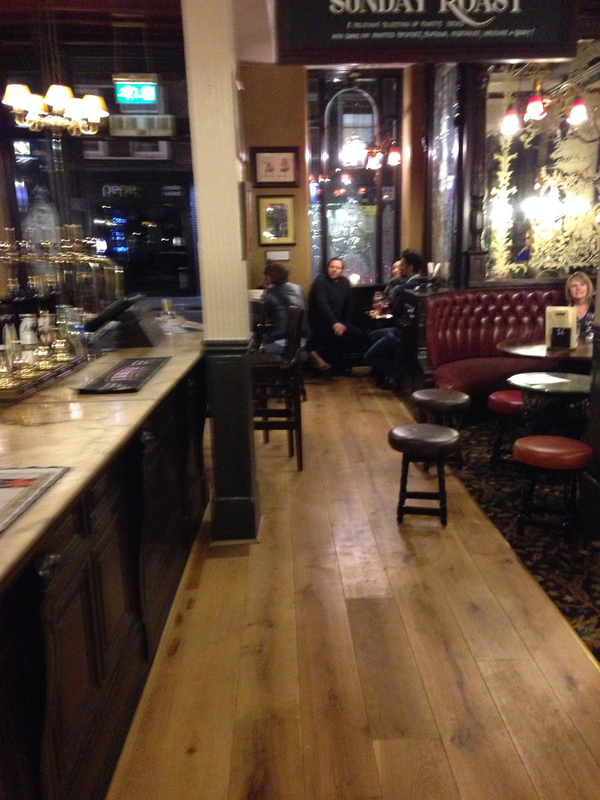 In the heart of London’s Theatre Land, this is what a pub should be. Great beer, friendly staff (apart from that time one of them charged me over four quid for a pint of Peroni, but then I wasn’t very friendly either), beautiful, original features like cut glass partitions, red velvet seats and a sticky paisley carpet. Even though they serve hot food to punters, it is just my favourite pub in town, almost the world. 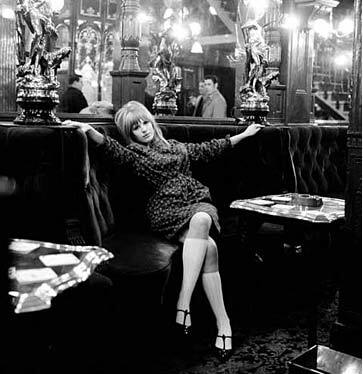 Since 1892 The Salisbury (or whichever name the pub went by before) has been serving beer, wine and Mars Bars to theatre-goers, revellers, drunks and Marianne Faithfull in these plush, welcoming surroundings. Yesterday, thanks to the marketing men, interior designers, painters, atmosphere-removers and parquet floor-fitters they reduced one of their punters to tears. Ok, ok. I had already enjoyed a marvellous lunch up the road, and may have had a beer or eight before I walked into the place, but when I did I cried like a Dartford Barmaid who’s just been call a utnc. It may have been an over-reaction, and you may well look at the snap below and say “ooh that looks nice”, and you may or may not be correct. But truth is they still serve italian lager at over £4-a-pint, they still serve hot food which rids the place of its happy hoppy smell and replaces it with one of gravy & onions and it still attracts far to many backpacking half a shandy brigade. None of this mattered to me before, but now it does. Who gave who(m) the right to go against history and change what drinkers have been enjoying for 120 years ? WHO ?? If I wanted to drink in a Slug & Piano or an Airport Departure Lounge Bar/Wetherspoons* (delete where applicable) I WOULD HAVE GONE TO ONE. Instead I chose to introduce friends to my favourite hostelry. Now they think I like laminate flooring. The Incumbent, top right, puts on a brave face as The Author shoots photos through the tears, the sorrow and the pain. So apart from crying in the middle of the afternoon, in the middle of a packed pub in the middle of the West End of London, I thought I maintained my composure pretty well. I only posted my complaints on Facebook, Twitter & Beerintheevening.com and alerted the bar staff to my deep concerns— after having dried my eyes, of course — and without using the ‘U’ word once. I used words such as “Awful” “shameful” and “goodbye forever” and meant all of them. Apart from the last two as I still had a gallon of Guinness to cry into. I now brace myself for those-in-the-know to reply to my various protests, pointing out that The Salisbury “has been altered 17 times over the last 30 years but you’ve just always been too drunk to notice”, which may or may not be accurate and true. However, I’m similar to many people: Although I don’t like Conservatives, I am very conservative. Like a lot of blokes I know, I’d go to the same pub every night of my life and drink the same pint for the rest of my days, as long as no-one changed anything. ANYTHING. I can moan about any and every aspect of the pub, from the price of a pint, to the speed of the barman/maid, the state of the loos to the state of the pickled eggs, pork scratchings and carpet. But I pay enough for a pint and drink enough of them to have an opinion, and it’s MY pub! Not yours — you fly-by-night manager who’ll be off in a couple of years to run that little B&B near Droitwich at the drop of a hat. I’ll be here, come rain-or-shine, moaning, laughing and crying at my regular spot in the corner until I decide I’ve had enough, or you decide to decorate. Or I’m politely asked to leave. God, I bet they’ll miss me.